Installation view of “Dealing with People” | San Telmo Museum | 40x10x8 ft. 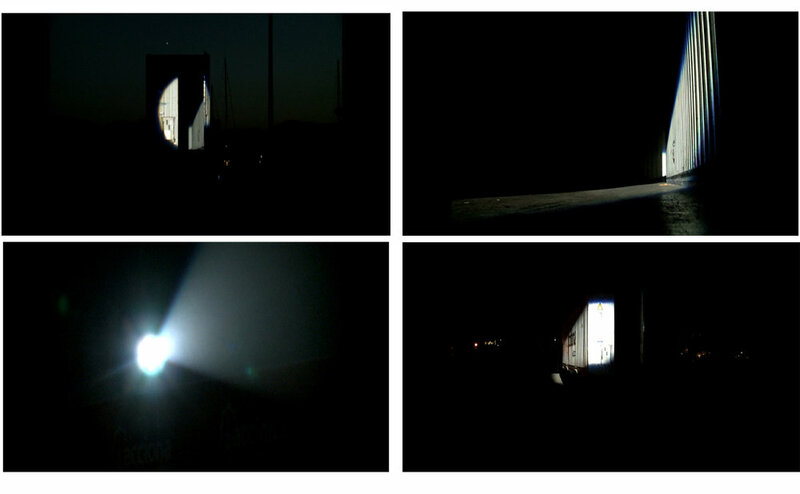 Dealing with People" is an installation consisting of a container, searchlight and an audio track looping inside the container space. With fragments drawn from my fieldwork and research, I worked on an audio piece, which was partly made with the dispatch communications between the National police of Spain during their process of tracing and following the human traffickers. Cargos were one of the vehicles or rather instruments with which they smuggled different groups of immigrants throughout Europe. Known for their modular structure in shipment of goods and being an object of capital flow, cargo became a space to “host” and re-enact these audio recordings; immaterial traces of the immigration process. Dealing with people was originally installed in “Port de Palma” at the port in Palma de Mallorca but I have recently reinstalled it in the Centre d'Art Santa Mònica and the San Telmo Museum as well.